Ahhh Winter, something that comes around every single year and yet somehow each time I underestimate just how badly it affects me. I think Winter effects a lot of people in different ways. Many feel a bit more lethargic etc. but when it truly impacts on your mental and physical health you know about it! And it can be hard to explain to other people who don’t suffer the same. Seasonal Affective Disorder is definitely something that I suffer with during the winter. I find both my mental health and physical health are effected during this time and I think it’s a vicious cycle of them both impacting on each other too. Having chronic health issues and chronic pain cold, damp weather causes a huge symptom flare up for me - I have Ehlers Danlos Hypermobility Syndrome, Fibromyalgia, Chronic Fatigue & POTS so there's a lot going on! However I also find my anxiety is worse and my mood is so much lower during this time as well. I find that it particularly hits me after Christmas, January was dyer (the longest month ever! ), February was possibly even worse and I also really struggled throughout March. Winter has been particularly dragging on this year though hasn't it? Considering I’m someone who thinks they’re really open with speaking about how I feel I actually found writing this post really really hard. It’s taken me a long time! I’ve been on low dose anti-depressants for a long time but that doesn’t mean you don’t still struggle. I’d describe the feelings as hugely lethargic - I mean awful, I don’t feel properly awake until about midday most of the time! Tearful, moody, irritable and like there’s a painfully heavy weight sitting on my chest. I become a bit of a recluse just wanting to stay at home in my room as being around people is too much to cope with. I become a contradiction: I feel desperately lonely yet all I want is to be left alone (isn’t there a Pink song that goes like that?) - so contrary!! At best I go from that kind ‘meh’ feeling where you just can’t be arsed with life and at worst its sobbing into your pillow feeling like everything is so bleak & hopeless. At those worse times I find myself feeling inadequate, worrying and dwelling on all my darkest fears about my health and my future. You may have seen that meme “I’m sorry for the things I said when it was winter”? Well that resonates with me as I don’t think I’m myself at all! I genuinely feel like this cloud is gradually lifted off me when Spring/Summer rolls around though. I joke that it’s because I was born in the Summer of a very hot year and I’m not made for the Winter - but there is a lot more too it than that. 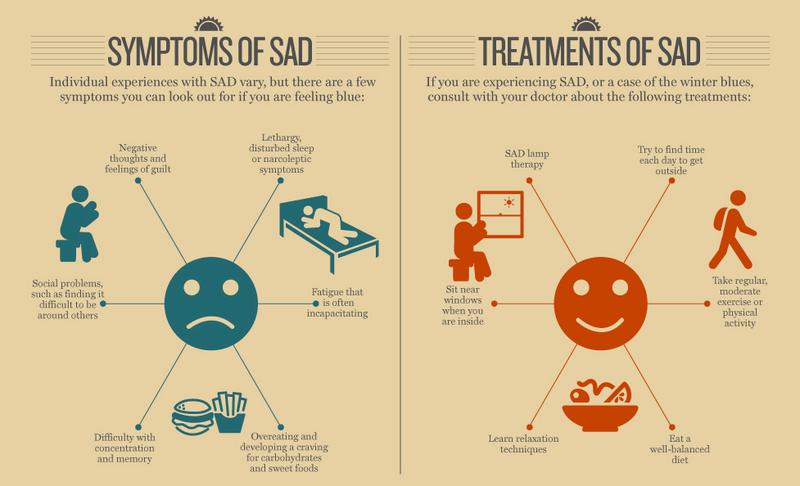 To understand more about SAD you can find lots of information of the website here and MIND is always a helpful website when it comes to any kind of mental health issues. Although the UK is still stuck in the rather dreary weather right now we should be finally starting to head into spring now hopefully we’re almost out of the woods and there is (literally!) a light at the end of that long dark winter tunnel!! I don’t normally write such personal posts on here but I really wanted to share with you guys a little of how I’ve been feeling and some ways that I have found to deal with things in case it helps anyone else. It might also explain why my blog posts have been a bit sparse so far this year. So this post is kind of like a ‘note to self’ for next year advising future Katie on how to help herself the best she can. However I really hope this helps some of you out too. I think it applies to low mood, anxiety and depression in general not just SAD. Create an Upbeat Playlist | I definitely think music is a really powerful tool and can make a real difference to your mood! I love creating playlists so enjoyed creating some mood boosting ones. As you may know I’ve been listening to a The Greatest Showman soundtrack a lot (understatement) lately all the songs are really happy and upbeat so they were perfect choices. I love musicals and Disney so I picked many of bouncy, happier ones - Moana "How Far I’ll Go" is a favourite!! After that just look at any old favourites that make you feel good and empowered, a bit of Beyoncé and Destiny’s Child always works for me. I’d say pick songs you can dance and sing a long to - whether internally or literally - and the cheesier the better too! I've made one for the morning to help get me up and going and one for the evening which has more chilled out vibes but still upbeat. Going to the Gym | Or just any form of exercise really! Although you may not always feel like it to start with afterwards you will undoubted feel incredible with all those endorphins released through your body. I’d say exercising is by FAR the one thing that makes the most difference to how I’m feeling mentally. It’s necessary too as I do have a habit of comfort eating during winter so tend to put on some weight if I don’t exercise! It’s a particular struggle for me with my chronic health issues though and I regularly find myself physically not being able to do any exercise at all and then it’s even tougher to start again! I need to keep mobile and maintain my strength as much as I can though so if I can’t manage the gym I at the very least try to get for a little walk round where I live (rain or shine!) getting out in the fresh air is really helpful for mood as well. Talk to Someone | One of the most important things to do whenever you’re feeling low is to find someone to talk to. Even if you think they’re not going to understand. Whether that’s a friend, family member and/or your doctor, sharing your how you feel takes some of that weight off you and more importantly makes you feel like you’re not alone. You never know you might even find someone who is feeling exactly the same! I’m lucky I’ve always had my Mum to talk to. Getting Outside | Getting out of the house and in the fresh air particularly around midday or anytime there is any sunshine is so beneficial! In the winter the central heating is on and the windows are all shut - it can make me feel suffocated. As I said before I try and get out for a daily walk, rain or shine! I’ve always done this, I can’t go very far but around the block can do the trick. Socialising | Although I may not feel like it when I’m in the depths of depression it’s really important maintain a social life. I remember being told this a lot by many medical professionals actually during my early teen, when I was first started having serious health problems, and it’s really stuck with me as it’s easy to loose contact with your friends in these kind of situations. I do feel like I am guilty of not being in contact at this time of year though. So I try my best to make myself arrange things even if it’s just a lunch or a cinema trip. It a) gets me out of the house which is always healthy and b) gets me out of my own head. I do find I have to ‘pep myself up a bit’ before I see anyone but I usually feel so much better afterwards because I am naturally quite an outgoing social butterfly! See friends that you know you always have a good laugh with. The old saying that “laughter is the best medicine” is definitely true! Planning Things To Look Forward To | Leading off from the last point, having things planned and to look forward to gives you the motivation to keep going and get excited about the future. Maybe it’s a trip, concert, a birthday party or a holiday anything that you can get planning! A couple of things I have to look forward to this year include: I’m going to Harry Potter Studios in May and seeing Taylor Swift in Concert at the end of June so there are two great things already! Keep Occupied | Start a hobby or find something new that interests you and focus on it. I have my blog to keep me busy and there is always something I can do towards that. I also make jewellery which I sell on Etsy. Keeping your mind active and focused on something other than dwelling on how your feeling is a strategy I have found really works for me and gives me a purpose. Write a list of Positives & Achievements | You may remember my post at the end of last year on my Biggest Achievements of 2017. Highlighting positive things you have done and achieved however big all small they may be is empowering and the kind of boost we all need! You can then add to them and read through them whenever you’re feeling low or doubting yourself. Find Moments of Calm Each Day | Sometimes you do just need some alone time, some quiet time where you can just breathe and collect yourself. Especially when you live with other people. I am rubbish at relaxing I think I sometimes overdo my strategy of keeping myself occupied to distract myself from my chronic pain to the point where I can’t wind down as it means I’m just left with my pain and my thoughts. Some ways I like to unwind include: listening to my chill out playlists, putting down my phone (as I’m never relaxed when I’m on that! ), snuggles with my cat (pets are supposed to help calm and reduce blood pressure) and I enjoy having a pamper night with a face mask or painting my nails. Any kind of self care like that can give you a boost. There are some Meditation and Mindfulness Apps available if they would suit you. I found a really good article detailing the best ones here. I’m going to try out The Mindfulness App I think. Vitamin D Supplements | I do also take vitamin D tablets as well as a vitamin that contains iron, I was tested a while back and found to have slightly low levels. Now I’m not sure how much these help in this case but I figure they can’t hurt. If you feel like vitamin deficiency might be contributing to your problems then it’s worth getting a blood test at your doctors surgery. Use a Light Therapy Box or Light Alarm Clock | I do have one of the light boxes that are meant to help by stimulating the sensors at the back of your eyes and tricking them into thinking it’s natural daylight. I’m not entirely convinced as to how much they work for me personally though - I find it mainly just makes my eyes hurt to be completely honest! You don’t stare directly at them but you have to have them in your line of vision for a decent length of time. I might look into getting one of the alarm clocks though as they’re meant to help wake you up slowly by getting gradually brighter. I like to make sure my curtains are wide open first thing though to get as much natural light in as possible. Go on Holiday | Whenever I explain to (certain) people about how much I struggle with my health during the winter months their immediate response is “well why don’t you just go on holiday somewhere hot?” My general answer is “Money - lack of!” I really wish this could be an option though as it would definitely be just what I need! Plus last year was the first time I'd been on a plane in decades due to my poor health it hadn't really seemed like a viable option for me but thankfully I managed it okay so I'm hopeful for the future. Next year I am really determined to try and get away somewhere warm during January/February though, if I can afford it. Even if I can manage just a week away that would be a decent bit of respite. I’m going to really do my best to save up! I’m looking at the Canary Islands as I think they’re the nearest winter sun spot at that time of year! Let me know if you have any recommendations though please? Even with all these tips the fact is I know I’m always going to struggle during the winter months. But as long as I know that and the people around me know that and we take all the steps we can do help then I’ll manage. Just remember there so many people out there going through the exact same thing, you are not alone and you WILL come out the other side!! Let me know if you suffer from SAD and what tips you have for getting through it in the comments. 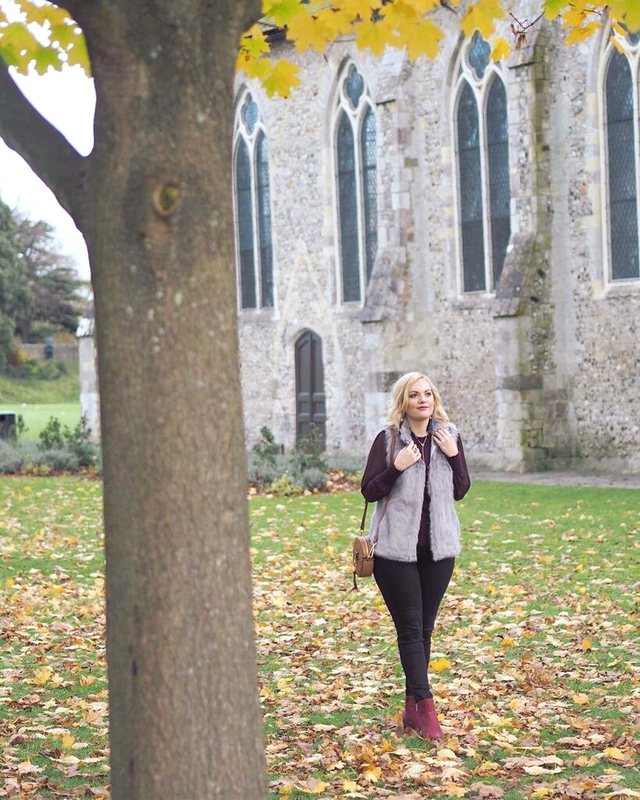 Such a fantastic post Katie, a lot of these symptoms really struck home for me, I'm not entirely sure I could say I have SAD but I definitely feel a lot more down in winter.